The $25 USD Bauhn iPhone Charging Case (for iPhone 6/6S) is adequate for the price, well below the $80 price tag of competing Mophie cases. The top piece slides off, allowing the phone to slip into place. Although no specific mAh is given, it claims to add 150% battery to the phone, which in my testing, is not true. I do, however, get about an 80% charge with minor use from 1%. For $25, this is not a bad purchase and will get you through the day with about the same amount of power as the Apple Charging Case for the iPhone 6S. It includes a headphone extender and a short micro USB cable. In my case, it did not even fit the port. I had to use another cord I had lying around. 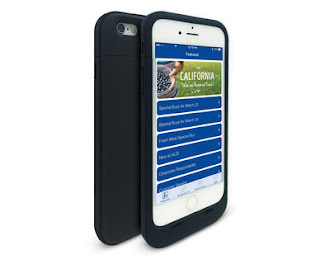 The Bauhn Charging Case is also available for the iPhone 5/5S/SE. I also tried this case, and it was a lot better. After draining the battery from a 5S the case was able to fully charge it and might have been able to charge it for a while longer. Every micro USB cable I connected to it fit snuggly unlike the iPhone 6/6S counterpart. While in part these advantages are due to the thicker and smaller design, it would not have been impossible to incorporate it into larger cases. The Bauhn iPhone Charging Case for iPhone 6/6S gets a 7 out of 10 rating from me because of the loose-fitting USB cable and sub-par battery life performance, but it makes up for a lot with its low cost. On the other hand, the iPhone 5/5S/SE case is far better and gets a 9 out of 10 and I would recommend it to anyone in the market. Thanks for providing the pros and cons. It was really useful.